In the early 1970s, Dodge muscle cars were known not just for their powerful engines and super-cool styling, but also for their iconic paint schemes. As the muscle-car era reached its peak, Dodge’s parent Chrysler Corporation began introducing colors that seemed to be the product of an acid trip. There was “Sublime,” “Panther Pink,” “Top Banana,” and many other hues vivid enough to cause permanent retinal damage, but the most iconic is arguably “Plum Crazy” purple. And for the 2016 model year, Dodge is bringing it back on the Challenger and Charger. 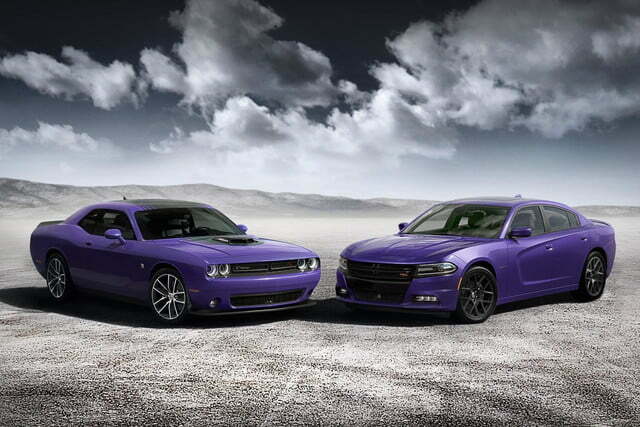 This isn’t the first time Dodge has revived Plum Crazy. The color has been offered on limited editions of the modern Charger beginning in 2006, and the Challenger in 2008. Now, though, the retro color will be available across the board, not just on limited-production collector bait. 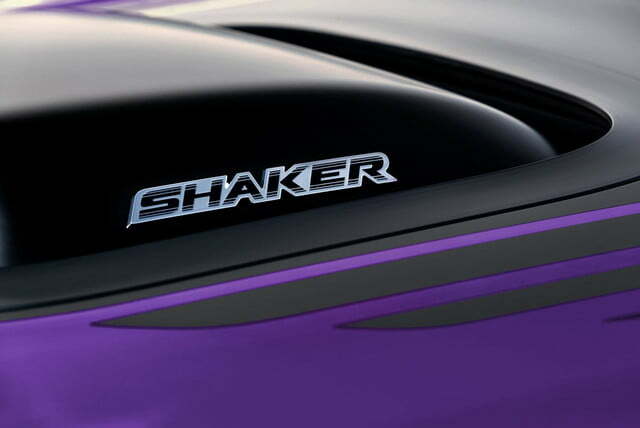 Plum Crazy will be available on every Challenger and Charger model, from the rental-grade V6 SXTs to the 707-horsepower supercharged HEMI V8 Hellcats. There will be a time-based restriction, though, as Dodge will only take orders for the color through the end of the year. Requests for pre-sold orders begin in September, while regular dealer orders begin in October. Production of the cars begins in November. While the Charger has taken on a more modern look and has grown an extra set of doors since its glory days, the Challenger looks like it came out of a time warp. Combine Plum Crazy paint with the deliciously-retro Shaker hood reintroduced last year, and you’re pretty much obligated to grow sideburns or wear bell-bottoms. Both the Challenger and Charger were significantly updated for the 2015 model year, so they remain basically the same for 2016. Buyers still get to choose from the base, 305-hp Pentastar V6 and three HEMI V8 options. That includes a 345-hp 5.7-liter, 485-hp 6.4-liter, and the 6.2-liter supercharged Hellcat engine. 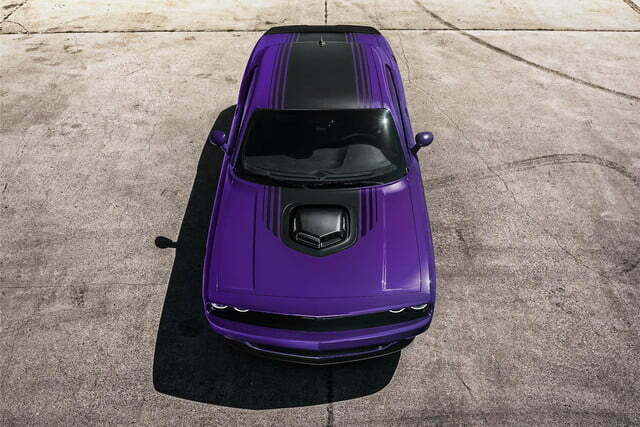 The 2016 Dodge Challenger and Charger in Plum Crazy will debut at the 2015 Woodward Dream Cruise in Detroit, but expect to see them in plenty of other places soon as Dodge looks to cash in on fan nostalgia.